Larkana: Chairman Pakistan People’s Party (PPP) Bilawal Bhutto Zardari Tuesday offered Sindh government’s services to the federal and provincial governments in establishing world-class cardiac-care facilities like National Institute of Cardiovascular Diseases (NICVD) for their people, saying they should to learn from the experiences of Sindh in providing free of charge quality cardiac care facilities to people of entire Pakistan. “I would request the Sindh Chief Minister to send letters to health ministers of federal government and other provinces to learn from the experience of Sindh, which is running one of the world’s best cardiac-care network the in the shape of NICVD. If we can establish such world class hospitals from Karachi to Sukkur, we can also help in establishing such institutions from Cholistan to Gujjar Khan, from Fata to Peshawar and the rest of the country”, he said while talking to newsmen after inaugurating the new complex of NICVD Larkana. Accompanied by Sindh Chief Minister Syed Murad Ali Shah, Executive Director NICVD Nadeem Qamar, PPP Sindh President Nisar Khuhro, Advisor Information Barrister Murtaza Wahab and other PPP leaders, Bilawal Bhutto Zardari inaugurated the 60-bed NICVD Larkana complex, a full-fledged cardiac hospital with facilities of all types of cardiac surgeries and procedures, diagnostics and treatment, which was earlier serving as a satellite center for the NICVD Karachi. Terming NICVD as an example of good governance by the PPP-led Sindh government, he said Pakistan People’s party was serving the masses with establishment of state-of-the-art health facilities instead of giving them ‘showcase busses’ and ‘tree projects’ and added taunted Prime Minister Imran for establishing a cardiac facility in Gawadar with funding from UAE, saying “countries can’t be run on charities”. Felicitating the Executive Director NICVD Prof. Nadeem Qamar and his entire team, he maintained that PPP-led provincial government did not focus only on one city like past governments and established world class health facilities in entire province where people from Punjab, Khyber Pakhtunkhwa, Balochistan and even from Afghanistan were coming for availing free of charge quality treatment. “After 18th amendment, Sindh government performed better than other provincial governments as well as those who want one-unit, and critics of the 18th amendment who say they lack capacity and provinces can’t do that. 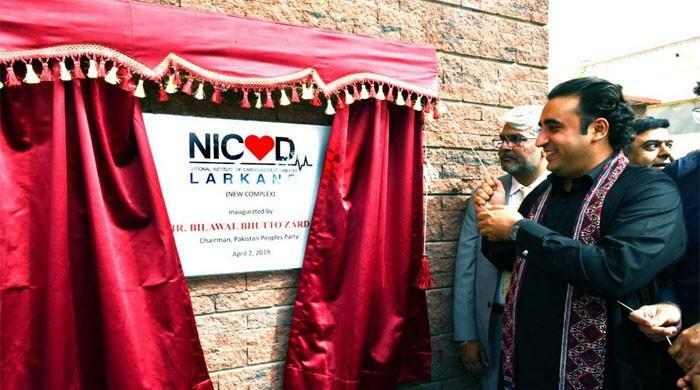 Sindh government converted NICVD into South Asia’s largest heart health facility, which a big achievement for entire country and symbolic victory for Pakistan”, added. 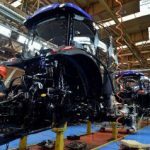 Defending public-private partnerships in Sindh, he said there was nothing wrong in the concept of public private partnerships which was introduced by Benazir Bhutto, he said Sindh was the 6th best performance province in the entire world in running public-private partnerships according to the Economist. Responding to the political queries of the newsmen, he said (Rawal) Pindi was like a ‘Karbala for the Bhuttos’, saying there is a concept of jurisdiction where an accused is tried in the country where is alleged to have committed the crime. “It is political victimization and political engineering in the name of accountability and we demand that arrest should only be made if an accused is convicted like Prime Minister Nawaz Sharif, who was arrested after he was convicted after a due legal process”, he maintained. To another query, he said the PPP knows how to protest and it has been 10 years now since PPP has not protested. “I wish we get a chance to show our ability protest for justice, and I’m hopeful that we get such a chance very soon”, he added. Terming the news of arrest of Owais Muzaffar Tappi from Dubai, he said it was a fake news and spread with an aim to divert the attention of people from petrol bomb dropped on them by the present government. 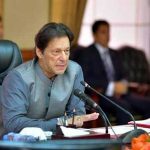 Commenting on economic situation, he said since Imran Khan assumed power, people of Pakistan were “drowning in tsunami of price hike”, and added that due to economic bad governance of the present government, people were now crying and suffering. “On the other hand, Prime Minister is telling a lie when he says that country has become bankrupt due to 18th amendment. Infact country has become bankrupt due to their bad governance and poor economic policies”, he said at a time when federal government failed to achieve its revenue collection target, Sindh’s sales tax collection was 9 percent higher than the target. Denying any imminent joint movement in collaboration with PML-N, he said former Prime Minister Mian Nawaz Sharif would be focusing on his treatment at the moment but added that he believes that opposition political parties should sit together in the larger interest of people. Regarding change in the name of Benazir Income Support Program, he said this suggestion was made by the GDA people who insulted the feelings of people of Pakistan as they contested elections by showing pictures of Shaheed Mohtarma Benazir Bhutto and questioned that PTI which had not passed a single legislation then how could change the name of BISP. On forced conversions, he said these conversions were against Islam and Constitution and PPP would continue resisting them.